Identification: Full traceability… we have a plan for that! Some diseases affect reproduction, interfering with the cow’s ability to carry a calf to term. It’s best to try to prevent these diseases by making sure cows and bulls have adequate immunity before breeding season. These vaccinations will vary, depending on specific risks in a certain herd, and timing will vary, depending on the calving/breeding season for that particular herd. 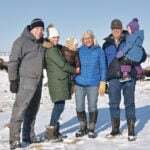 Nathan Erickson, assistant professor of large animal clinical sciences at the Western College of Veterinary Medicine in Sask­atoon says it pays to discuss this with your veterinarian. “Recommendations regarding which vaccines to use and when will depend on what type of vaccination program the producer has already been on, or if the cows have been vaccinated before. Usually producers vaccinate pre-breeding or at preg-check or, less commonly, pre-calving. 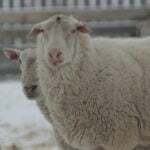 We are trying to develop a program that will protect the fetus that results from the upcoming breeding season,” he says. “Mainly we are interested in protecting the fetus from diseases that cause abortion but there are also some diseases that can cause malformation of the fetus or persistent infection. The BVD virus, for instance, can affect the fetus in several ways,” he says. These two viral diseases commonly cause abortion. “We want to make sure cows have some immunity against these diseases before they are bred, to protect the fetus during the highest risk period — the first three to four months of gestation. With BVD we are trying to avoid early term abortion, fetal malformation, and development of persistently infected (PI) calves,” explains Erickson. Those PI calves may look normal, but they carry BVD virus — shedding it continually throughout their lives — and thus present a serious health risk to other cattle. “PI calves are the result of the cow being exposed to the virus in early pregnancy, prior to development of the immune system in the fetus or while it is being developed. The immune system is self-identifying. In other words it must be able to differentiate what belongs to its own body and what is foreign (such as disease pathogens),” he explains. The immune system’s job is to recognize invaders and attack them — and only attack the foreign cells, and not their own body. There are a few auto-immune diseases in which the immune system attacks cells within its own body. A normal immune system, however, just protects the body from outside invaders. If the BVD virus is present and circulating within the cow and her fetus during the crucial period when the fetal immune system is forming but not yet mature and functioning, it thinks this virus is part of the normal components of its body. “Because the body thinks it’s normal, it never mounts an effective attack against that virus, so the calf is persistently infected and becomes a super-shedder of BVD virus. 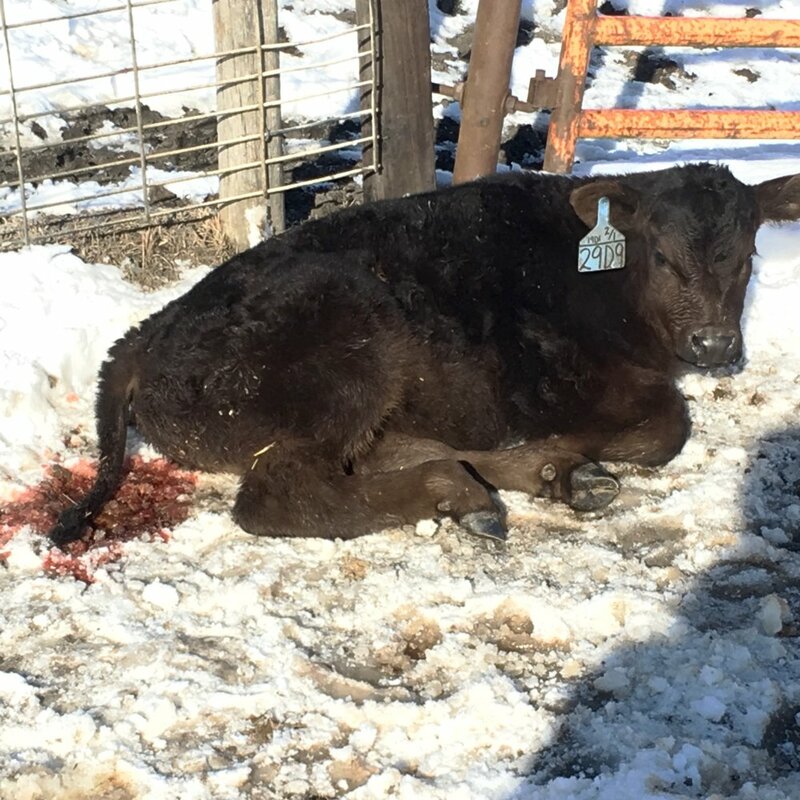 This can cause major problems in the cow herd, and also in the feedlot if that calf goes to the feedlot, spreading the disease to other animals,” says Erickson. 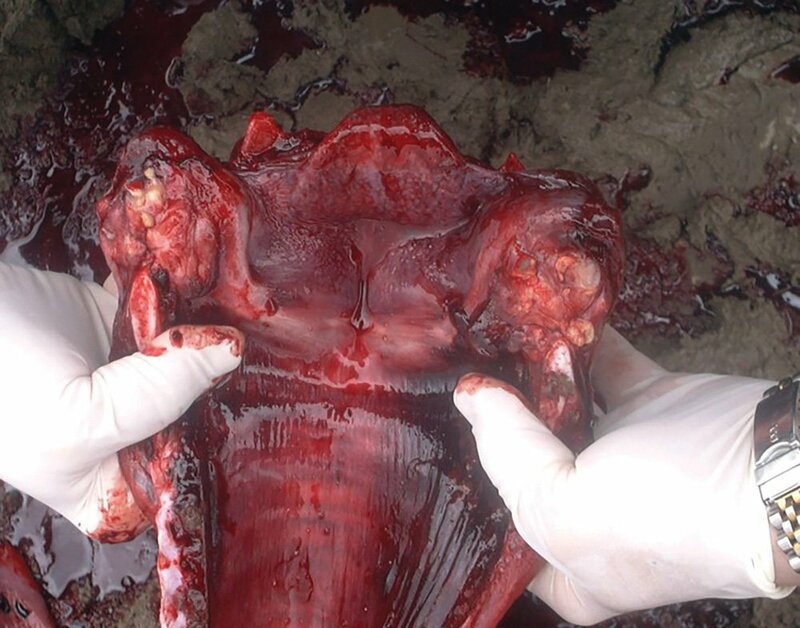 Infectious bovine bhinotracheitis (IBR) is another serious disease in the cow herd, and a major cause of abortion. “It can cause abortion storms with high numbers of abortions,” says Erickson. “Typically the IBR abortions are later in gestation, such as four or five months, but occasionally we see early abortions from IBR as well as BVD. These are the two most important viral causes of abortions that we can vaccinate for,” he says. Your herd can be at risk for IBR or BVD if they have fence-line contact with other cattle that might be infected. 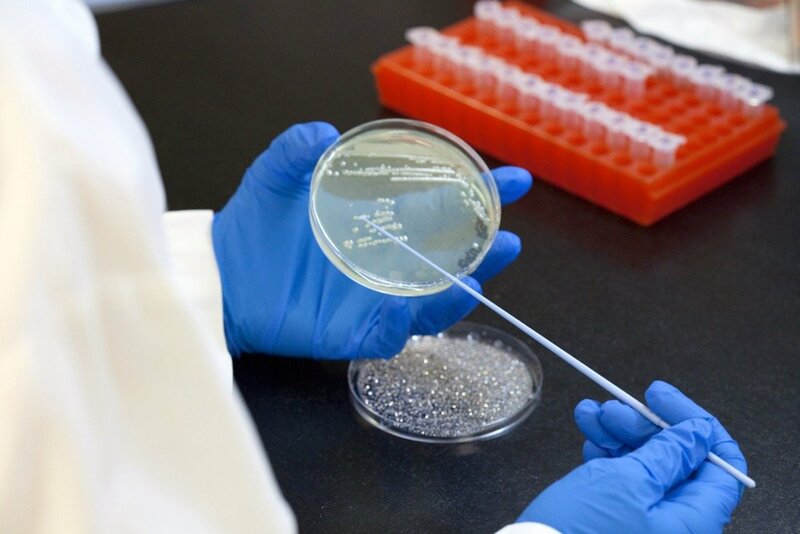 There are several bacterial pathogens that can cause abortion. “There are vaccines for several species of leptospirosis, for instance. We can also vaccinate against campylobacter (vibrio),” says Erickson. 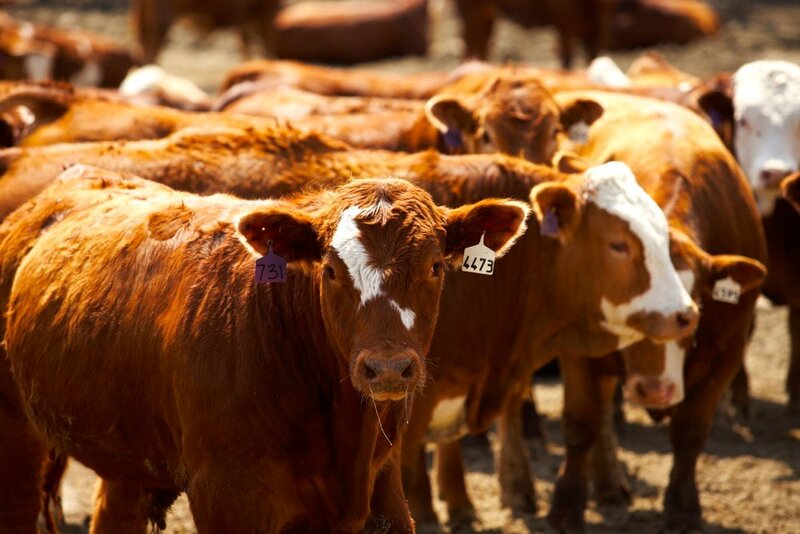 Vibrio is spread by breeding, so it’s wise to vaccinate cows before going to a community pasture where they might be exposed to other cattle potentially carrying the disease. “With vibrio, the bulls usually become shedders of that bacteria and spread it to the cows they breed. The cows become pregnant but the embryo dies early, so the cow comes back into heat. The cows eventually clear it and are able to carry a pregnancy, but that first season they come up open or calve very late. This can really destroy your calf crop for that year,” Erickson says. You want to protect your cows by vaccinating ahead of the breeding season so they will have immunity before they are bred. “This is especially important if you are using community pastures, buying cows that may have been exposed, or buying non-virgin bulls,” says Erickson. Your herd may also be at risk if you have a neighbour who brings in cattle that might carry this disease, if any of those cattle get through the fence or your bull goes through the fence to breed one of the neighbour’s cows — and brings home the disease to your cows. 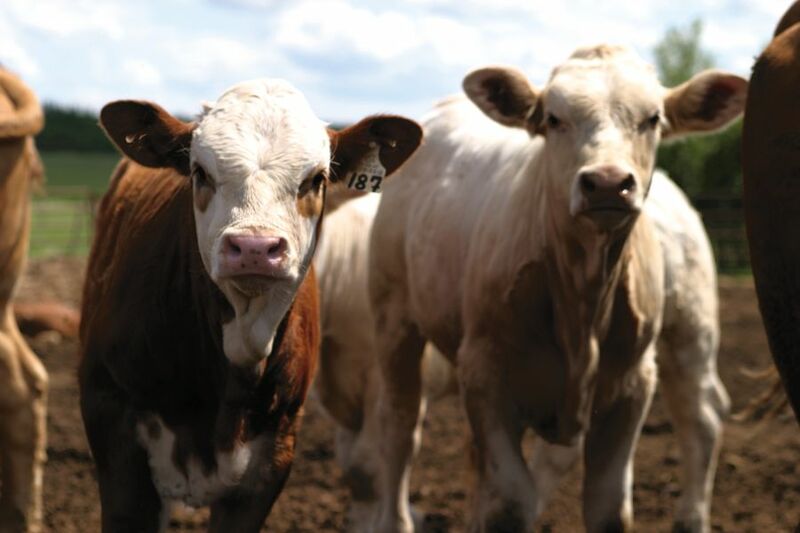 Dr. Steve Hendrick of Coaldale Veterinary Clinic, Coaldale, Alta., says vibrio and lepto are the most common bacterial diseases producers vaccinate cows for. “But we don’t recommend these vaccines to everyone. We base this on herd history, and what they have experienced with pregnancy loss, if we’ve been able to confirm this with diagnostics,” he says. In a normal herd that has a 95 per cent or greater pregnancy rate year after year in a 60-day breeding season, chances of that herd having vibrio are very low. “If they are not having abortion issues with leptospirosis, and there’s not much risk for vibrio, these herds may not need to be vaccinated for these diseases,” Hendrik says. 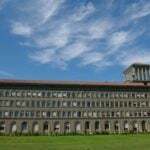 “The combination vaccines that contain vibrio and lepto are not as protective for the vibrio portion as we’d like. The oil-adjuvanted vibrio vaccines, and even some of the killed IBR-BVD vaccines that are available with vibrio and lepto fractions, are probably more protective than modified-live vaccines with these added. Part of the reason is they have to be water-soluble, to mix up the modified-live vaccines, so they are not adjuvanted with oil. The oil acts as a carrier to create more of a depo for that vaccine (with longer-lasting effect), but they can’t do this with a modified-live product,” he says. A person would be better off to use the separate vaccines, if they want optimum protection. “The lepto vaccine specific for Lepto hardjo might be best if a herd has an issue with chronic carriers of lepto. But you need proper diagnosis to know this.” You should be working with your veterinarian to figure out the issues and then utilize the vaccine that would provide the most protection in your herd. 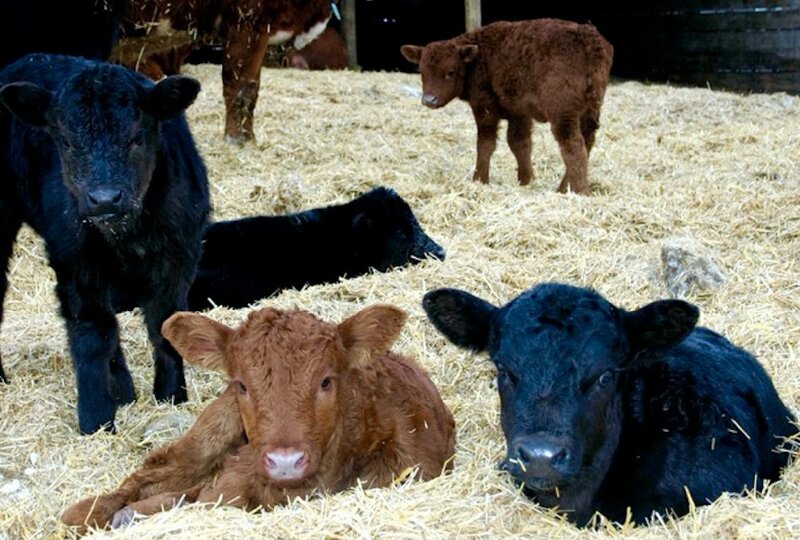 Even if it’s more expensive, the loss of one or two calves would more than pay for vaccine for the entire herd. “Lepto tends to cause mid- to late-term abortions, and if you are really concerned about lepto you might consider vaccinating twice a year and not just pre-breeding. In some herds it would pay to give another vaccination at preg-check time or to check the titers of those cows. In our studies we looked at titers of cows going out in the spring and coming back in the fall. We were surprised by a number of herds that vaccinated cows in the spring and then when we measured their titers when they came off pasture in the fall they were low. The vaccine may not trigger as much of an antibody response as we would like,” Hendrick says. Protection is short-lived, so you need to booster annually, and it may help to booster semi-annually if it’s a concern in a certain herd. 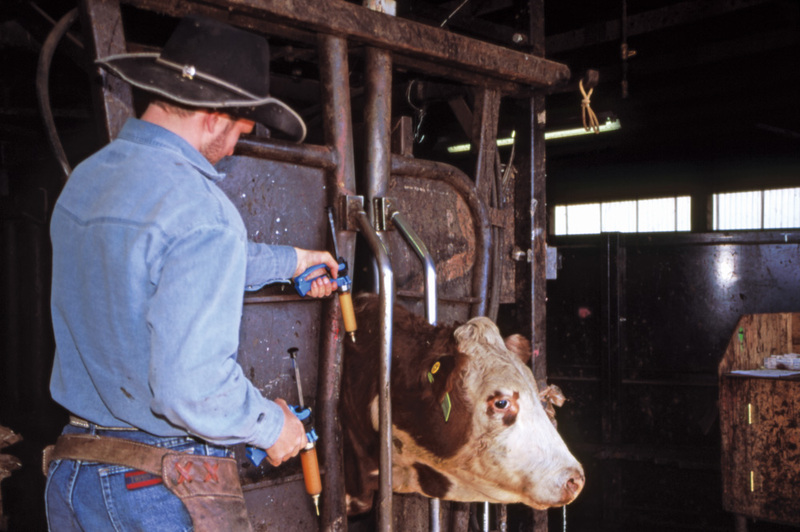 With all vaccines, cattle need a primary series of injections at the proper timing, to start the immunity (usually when they are heifers) and then the annual or semi-annual vaccinations act as a booster. Some people vaccinate cows just before they turn the bull out, or before they load the cows up to take them to pasture. “This is not ideal, but in some cases it’s most practical for the ranchers — the only time they have a chance to have cows in the corral for vaccination. This is better than not vaccinating them at all, and may be fine if it’s not their first vaccination,” says Hendrick. “The biggest reason for vaccinating cows pre-breeding rather than at preg-check time is that we are trying to prevent disease like BVD that can cause issues all the way through pregnancy,” says Hendrick. “If this is the disease you are most concerned about, you need to make sure cows have optimal immunity before breeding so they have immunity all the way through the pregnancy,” he explains. “IBR, on the other hand, typically causes late-term abortions. In this case, preg-check vaccination may be adequate, but we advise producers to work with their veterinarians to figure out which diseases pose the biggest risk for their own herd. Then they can determine the opportune time to vaccinate. My preference is to vaccinate pre-breeding, but I realize this doesn’t work for everyone,” says Hendrick. “If vaccinating cows pre-breeding, we generally use modified-live vaccines that combine protection against IBR and BVD,” says Erickson. “These vaccines can be given to cows after calving and before breeding. Several different vaccine companies provide vaccines with FP (fetal protection) claims. This label claim means that if you vaccinate according to label directions, they guarantee protection against development of PI calves, and protection from IBR abortion,” says Erickson. “These vaccines are given as an annual booster, if the cow herd has already been on a program to establish immunity. If cows have never been vaccinated, work with your veterinarian to get the herd onto an appropriate vaccination schedule (with proper boosters). The best situation is to start the immunity in heifers,” he says. 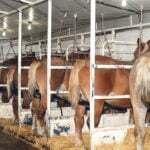 They can be given their vaccinations after weaning, and a booster before they are bred the first time — with annual boosters before breeding from that point on. Hendrick says replacement heifers should be vaccinated with modified-live vaccines at least twice, and preferably three times before their first breeding season. They can be vaccinated as calves, and again post-weaning, and the last dose about a month before breeding. This will give them a strong immunity before they become pregnant, protecting them from the viral diseases (IBR and BVD) that could result in abortion. 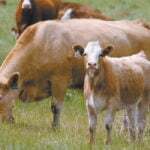 “If you purchase replacement heifers and don’t know what they’ve had for vaccination, you should vaccinate them several weeks before breeding, since giving them a modified-live vaccine just before breeding could be detrimental. The IBR fraction of the vaccine has been shown to cause swelling of the ovaries, which could interfere with cyclicity — and they wouldn’t be able to become pregnant until after that problem resolves. Even cows can have this problem, so we recommend giving these vaccines at least a month before breeding,” Hendrick explains. 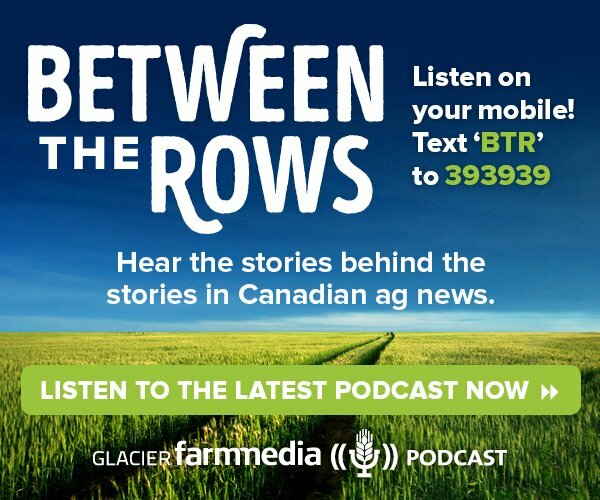 “Cows are a bit more difficult to get onto a modified-live program if they haven’t been vaccinated before, because you need a bit more time — between calving and pre-breeding,” says Erickson. “There are some different types of vaccine that can be used, to get them onto a program (such as killed vaccines that are safer to give during pregnancy), and your veterinarian can advise you on what to use, and when,” he says. Every herd is different with regard to when it’s most feasible to vaccinate. It’s important to give vaccines far enough ahead of breeding to build immunity before cows are bred, yet some people don’t have hands on cows until they are branding and vaccinating the calves, or the day they turn out the bulls. Some modified-live viruses may have effects on the animal which could temporarily interfere with fertility. “It’s always best to vaccinate three or four weeks before you turn bulls out,” Erickson says. “The cows (and bulls) need time for the immune system to respond and build protection. There is some evidence that modified-live vaccines can cause temporary interruption of cyclicity in cattle in some cases. This study was done on naïve animals (that had never been vaccinated), however, and may not apply in all situations. It’s always best to vaccinate cattle several weeks before breeding, to avoid this type of problem, and also to give them more chance to respond,” he says. “Immune response may also hinge on the condition of the cows,” says Hendrick. “If they’ve had a tough winter or spring (short on feed, or a severely cold winter), you can expect poor immunity. 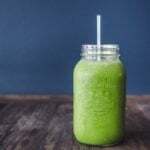 It’s important to focus on nutrition because this goes hand in hand with immunity. One can’t function without the other.” A cow can’t mount a very good immune response to vaccine if she’s thin and in poor condition. If a person is going to the expense and effort to vaccinate cows pre-breeding, make sure the cattle have optimum conditions to develop good immunity.